Magento looks set to continue its dominance as the leading eCommerce solution with the recent release of Magento 2, a completely new platform rebuilt from the ground up to service eCommerce merchants now and into the future. The new platform empowers brands, retailers, and businesses across B2C and B2B industries to quickly and cost-effectively deliver engaging omnichannel shopping experiences. Magento 2.0 also offers enhanced performance and scalability, new features to boost conversion rates, and business agility and productivity improvements. The open source tradition on rolls on ensuring that business owners have the flexibility to build out custom website features as requirements change and grow. The admin panel has also received an overhaul. It has been streamlined and a new modern UI employed. Not only will you enjoy working with it, but you should find yourself working through your daily tasks more efficiently. The new admin is also touted as being more user friendly and easy to learn (always a plus when rolling out new technology in the workplace!). Finally the interface is mobile optimised, making it easier for you to work on the go. A new production creation tool is included to make adding new products a more intuitive experience. Faster product imports are also promised. 4 x faster in fact! 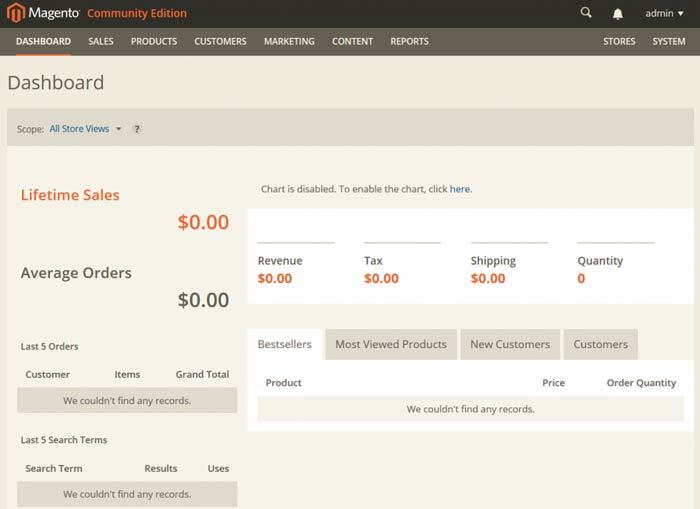 For the geeks amongst us, a host of technical improvements are bundled into Magento 2. If you’re not technically inclined, all you need to know is that things works better to make your site faster. And we all know that customers love fast sites! Built in image compression – nice! Magento 2.0 Adapt at Scale from Magento on Vimeo. While Magento is powerful and flexible, unfortunately this came at a cost – and that cost was the ongoing maintenance required to keep Magento up to date, apply security patches, install extensions and build in new features. The nature of the old Magento architecture meant that performing these tasks often introduced bugs and unexpected issues than then took considerable additional time to fix. Magento promises that a new modular architecture of Magento 2 allows easier ongoing maintenance. Magento throws around the term “future proof” to describe how Magento 2 is architected. While I’d be hesitant to describe any technology as truly future proof, we’re confident that the improvements made will definitely put merchants in a better position keep expanding and selling more into the future. Credit – Magento for the featured image.